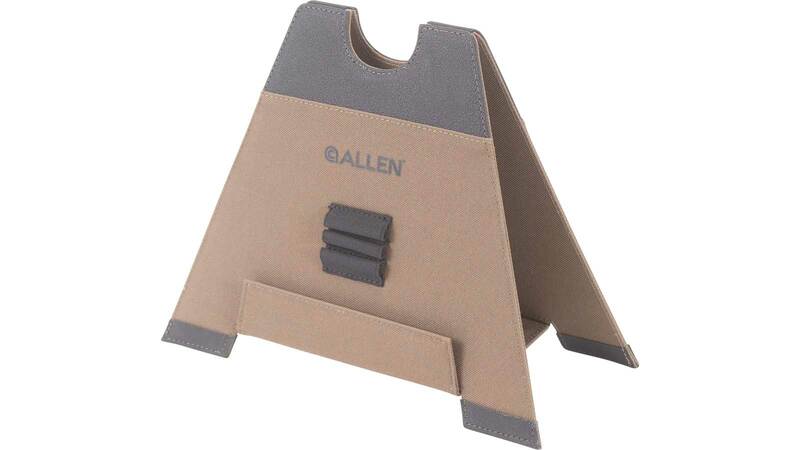 Allen ALLEN ALPHALITE FLDG GUN REST M 5.5 in. Allen's Alpha-Lite Folding Gun Rest is the perfect rest for those that want a lightweight, portable solution. The rest folds flat for easy storage and re-assembles in seconds to form a secure rest, complete with a slip-resistant base and sturdy semi-rigid construction. - Dimensions: 8 3/4" x 7" x 1/2"